Thuan An was the second stop on our Sunshine Pho Fever tour and it had the most modern fit out of the evening. Again we were sat at a long table. 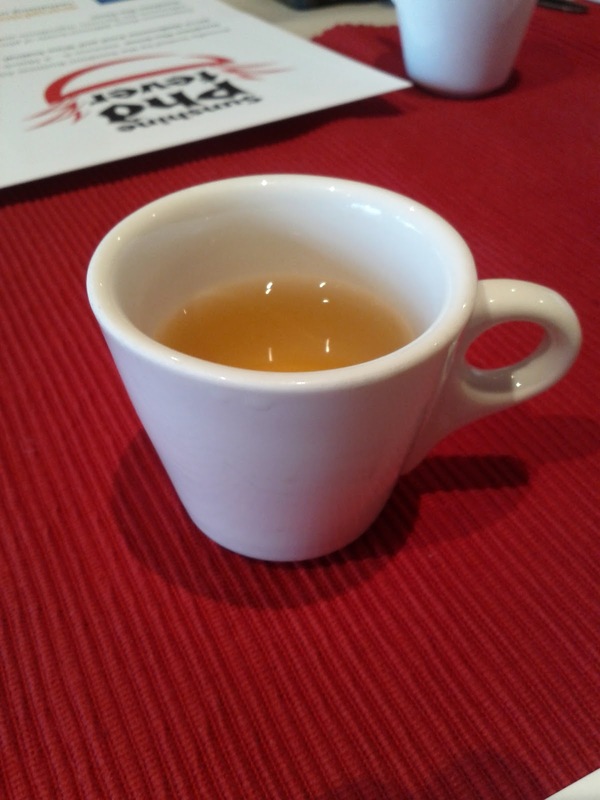 We were all served some Jasmine tea in tiny espresso style cups. 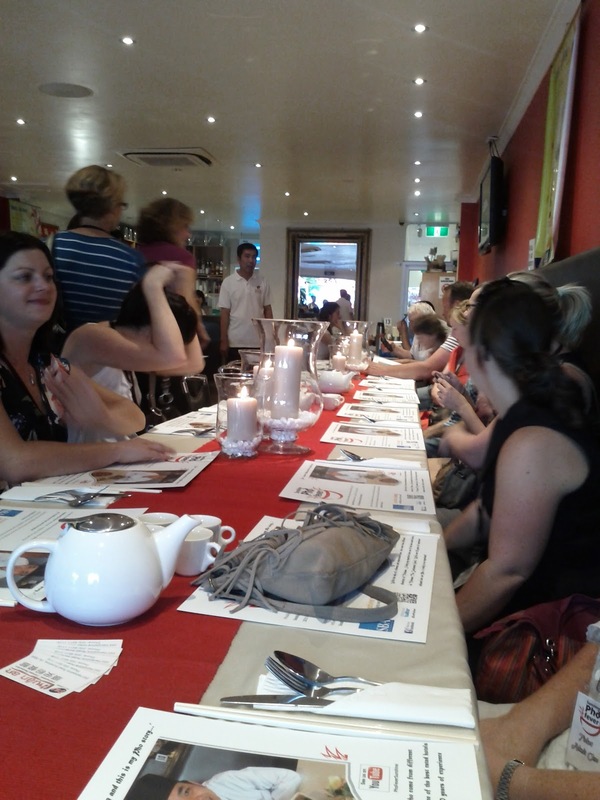 The speach about our food was made at the other end of the table to us, and it was hard to pick much of it up, I believe they said the pho contained both Northern and Southern Vietnamese elements. Our entrées were brought out first, the chicken wings had a sweet coating. The bean shoots and mint leaves were the most well presented that I'd ever seen, although isn't that pile of accompaniments on the side plate part of the pho experience? The pho had sweet broth and this time the chicken was free of bones. At the end of the meal the chef appeared. 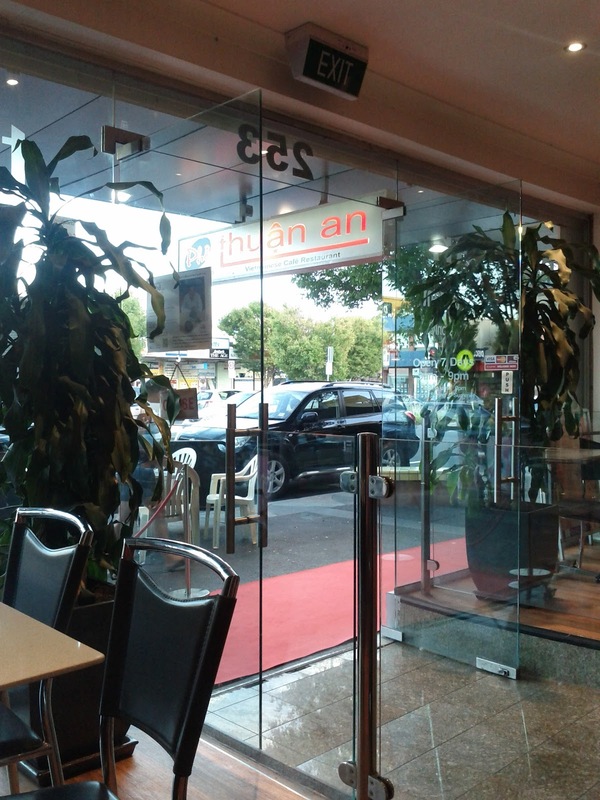 While Thuan An was certainly the most well presented restaurant and the best looking food, the flavours weren't necessarily any better.